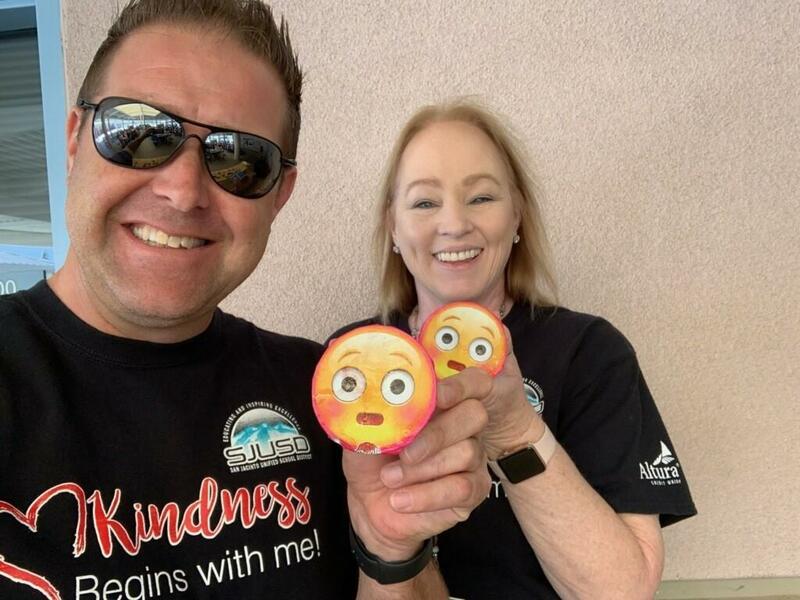 March 2019 "I'm In" Attendance Campaign volunteer Deven Skibinsi, Purchasing Agent pictured with Dave Sheiner at Record Elementary. 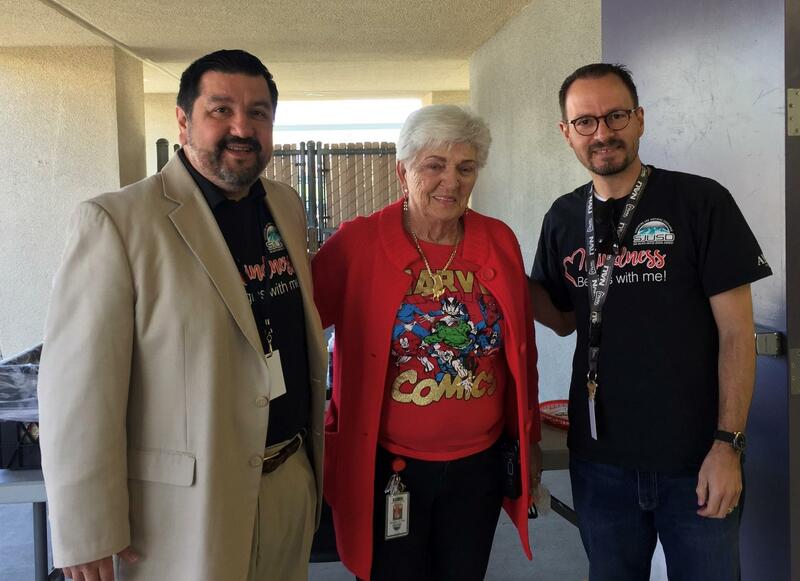 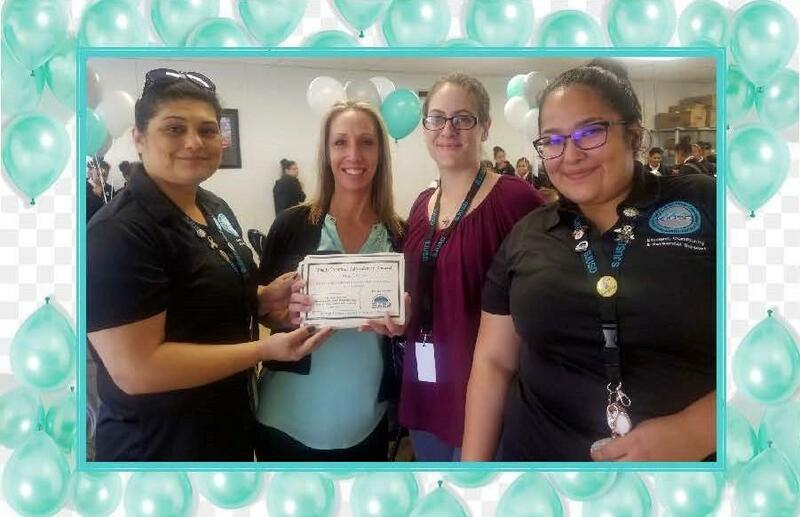 March 2019 "I'm In" Attendance Campaign volunteers (r to l) Luke Smith, Executive Director of Business Services, "Grandma Jo" from Estudillo Elementary, and Alex Gonzalez, Executive Director of Special Education. 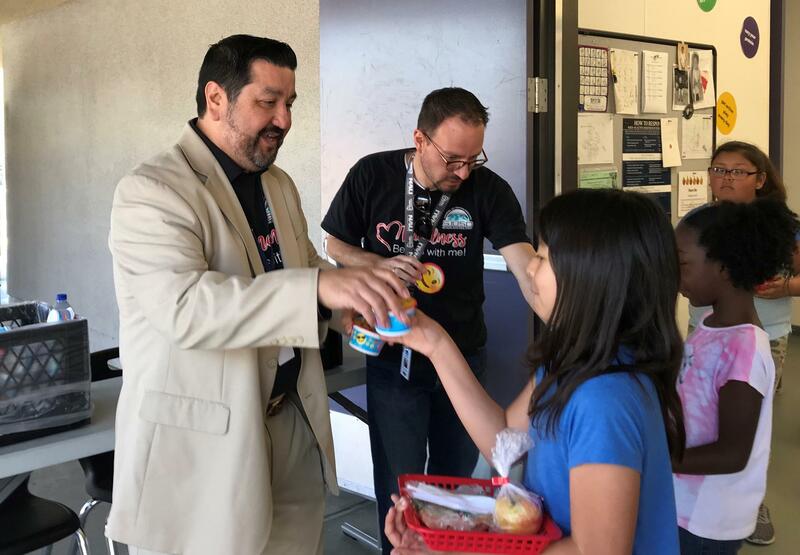 Luke Smith and Alex Gonzalez serving Estudillo Elementary students who had perfect attendance. 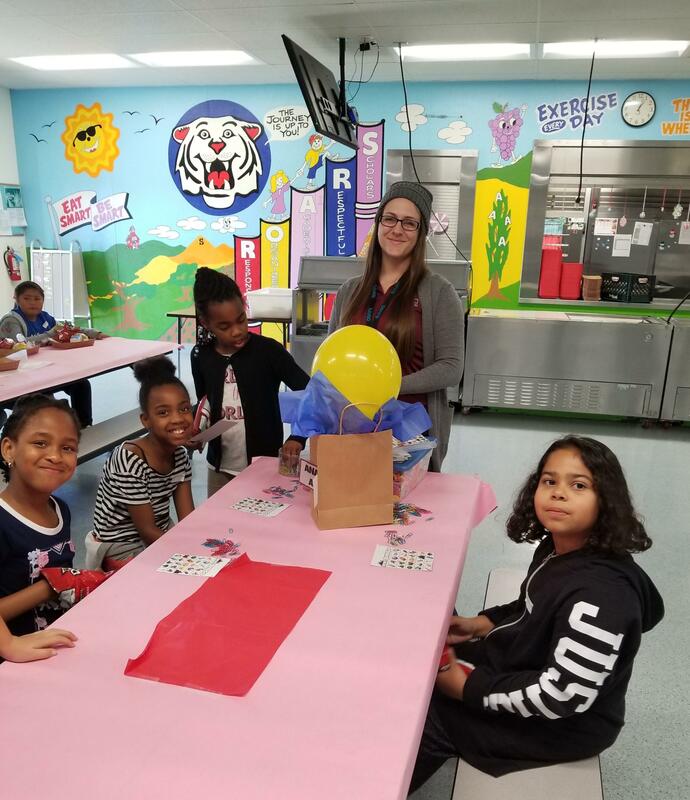 Business Services volunteer Sarah O'Brien, Account Clerk II, helping Hyatt Elementary perfect attendance students with their kindness poster activity. 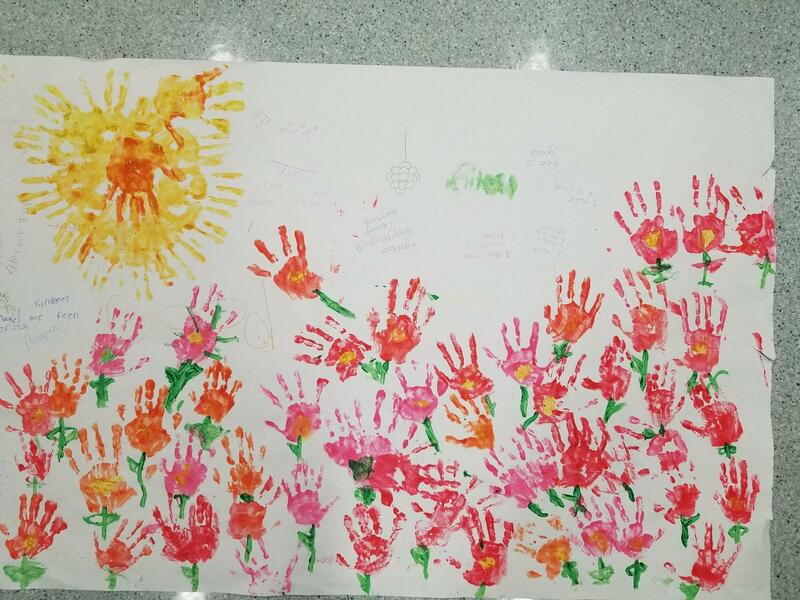 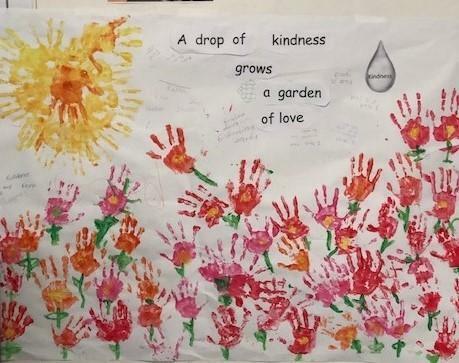 Friday, March 22, 2019 "Kindness" campaign poster made by Hyatt Elementary students as part of their perfect attendance activity. 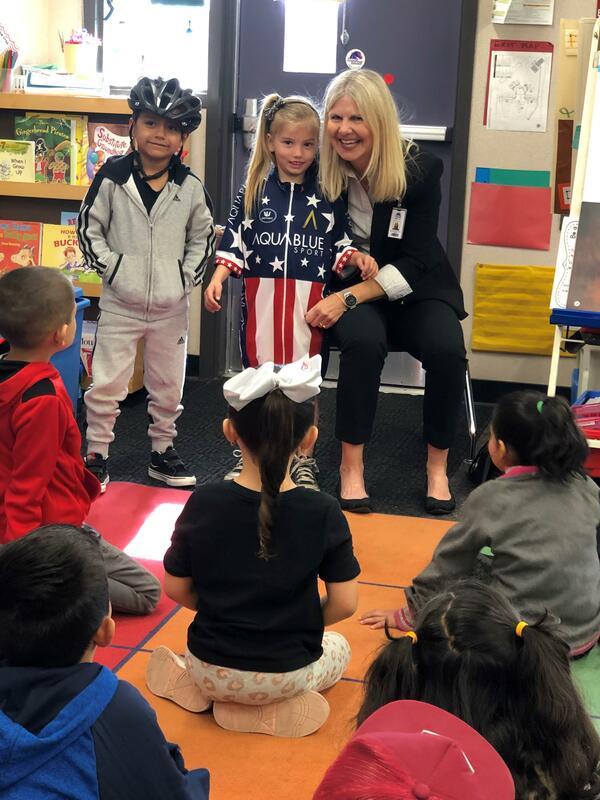 Business Services volunteer Sarah O'Brien, Account Clerk II, on March 22, 2019 helping Hyatt Elementary perfect attendance students with their kindness poster activity. 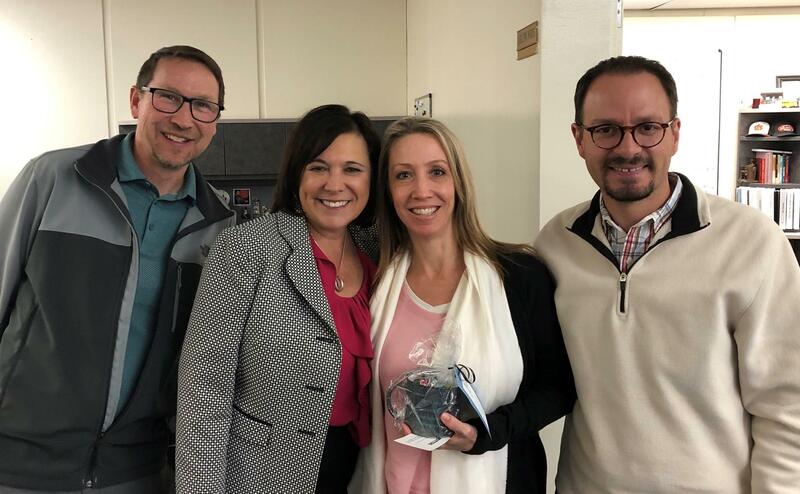 Congratulations to Shelley Ruzzamenti from the Business Department as our March 2019 Cup winner. 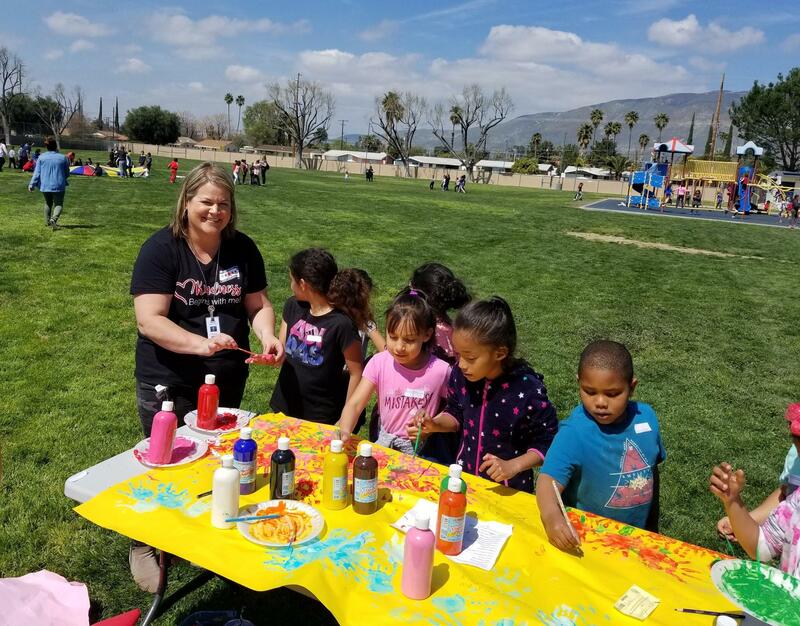 Shelley was nominated for the outstanding work and support she gives our school sites especially during the "I'm In" attendance campaign as well as the rest of the year. 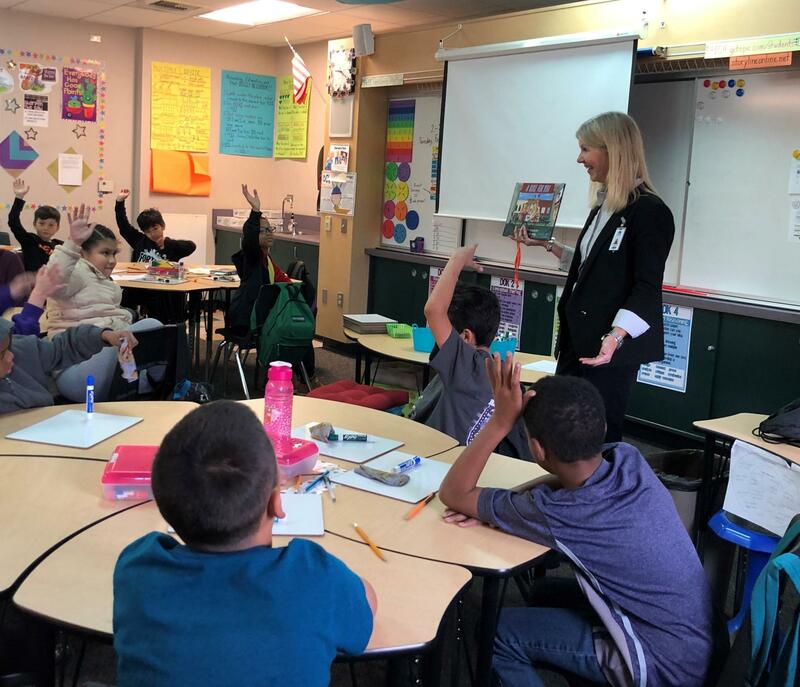 Serenity Junge, Benefits & Risk Management Supervisor reading to 4th grade students at Estudillo Elementary. 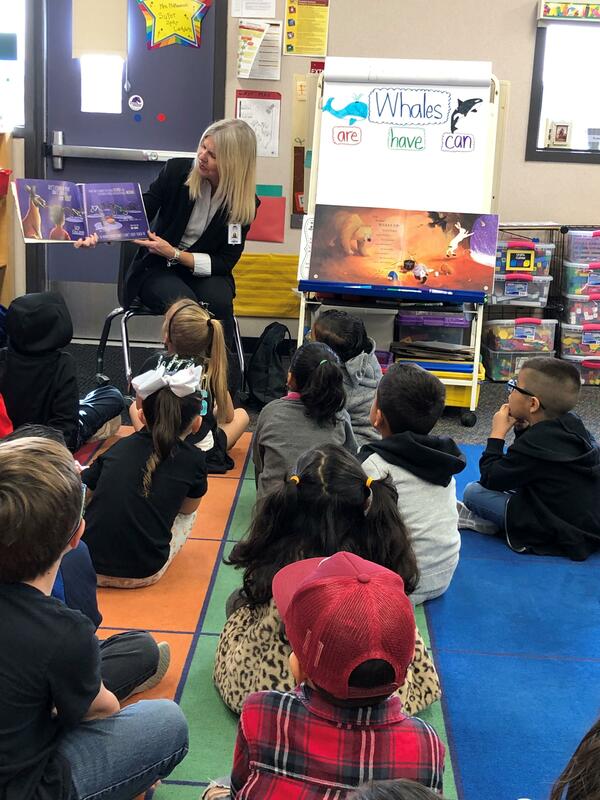 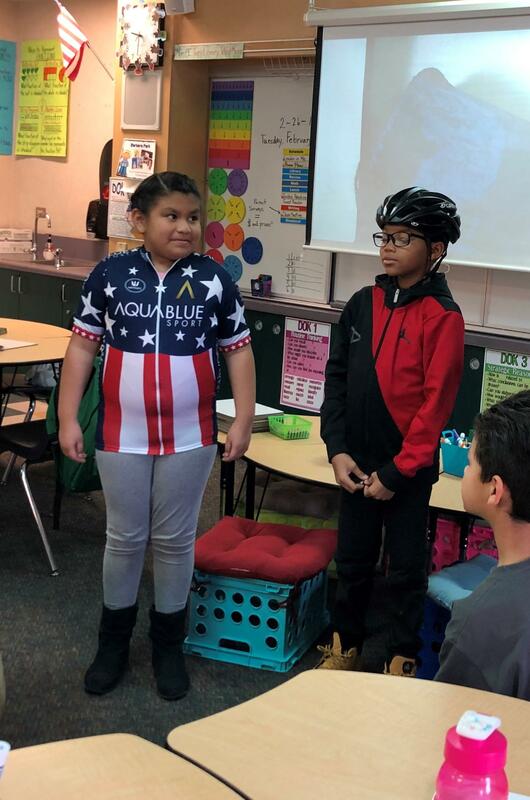 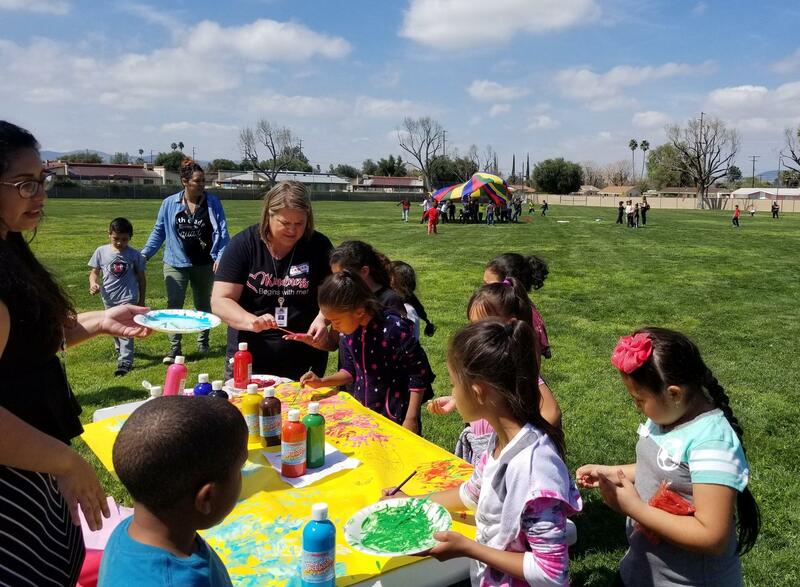 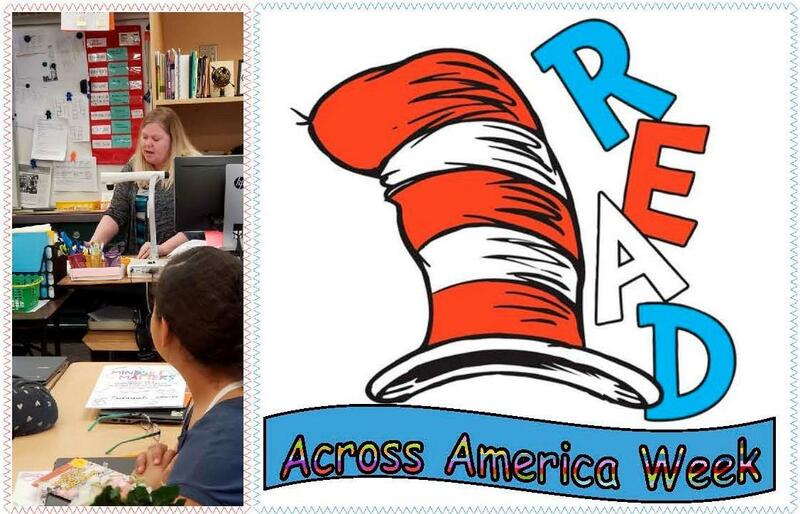 Administrative Assistant Carrie Best volunteering to read to students at Estudillo Elementary as part of "Read Across America" 2019. 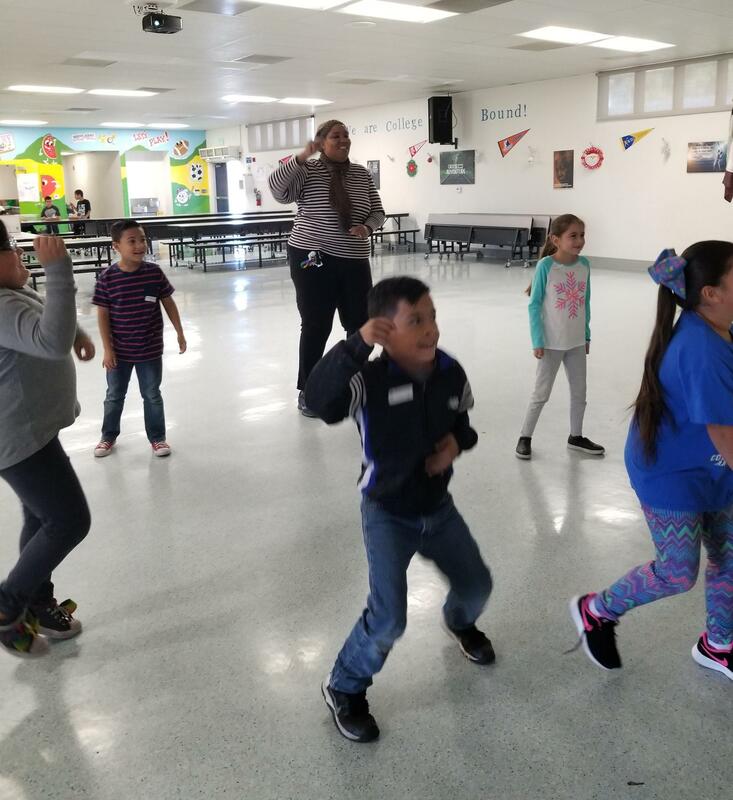 Account Clerk Bree Roman volunteering at Hyatt Elementary's "Perfect Attendance Fortnite Dance Luncheon"
Sheila Watkins, Administrative Secretary with students at Hyatt Elementary's "Perfect Attendance Fortnite Dance Luncheon"
Please refer to the most recent "Avoid Tripping While Traveling" conference and travel brochure. 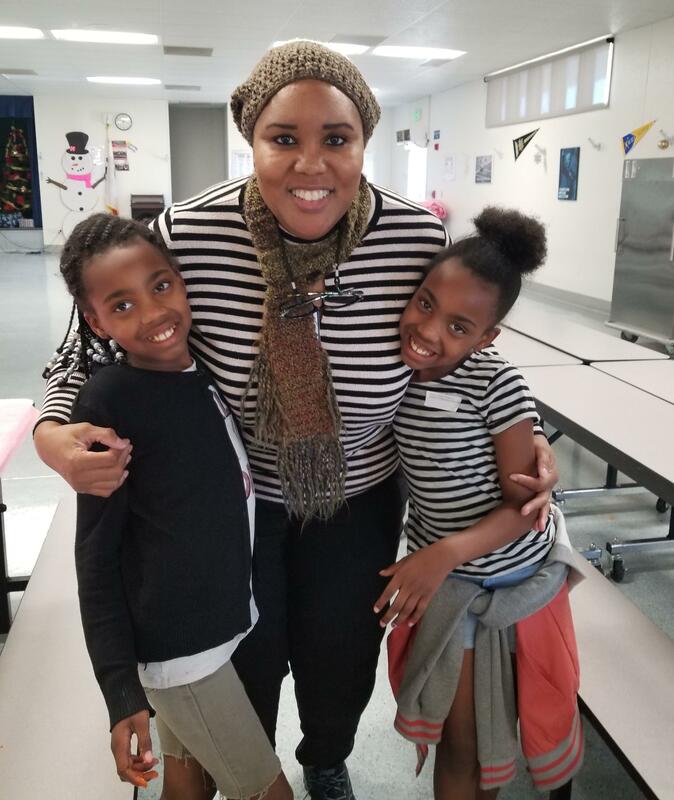 We exist to educate and empower all students to achieve academic excellence, personal growth and social responsibility. 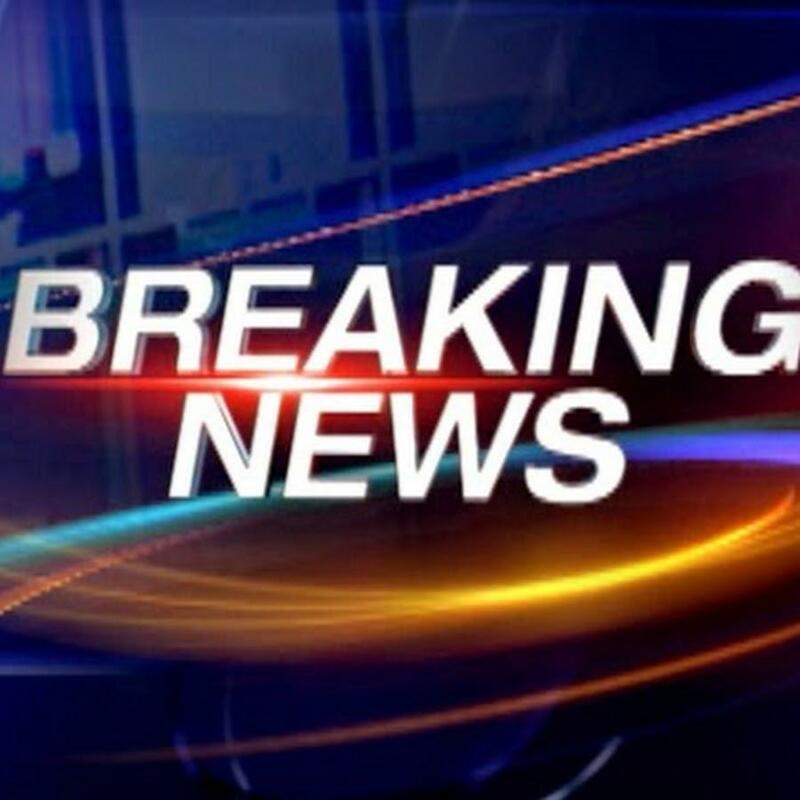 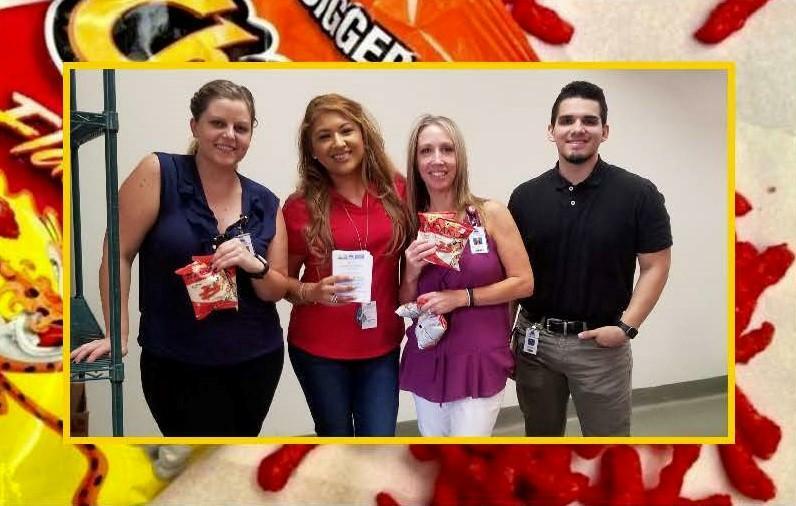 Business Services completes this mission by creating a link between logistical resources and student success. 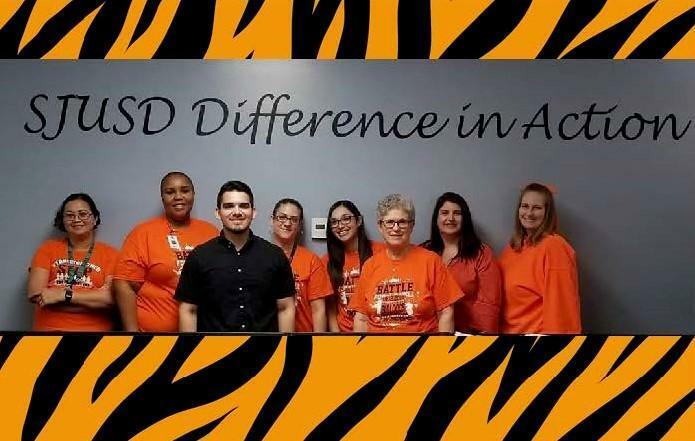 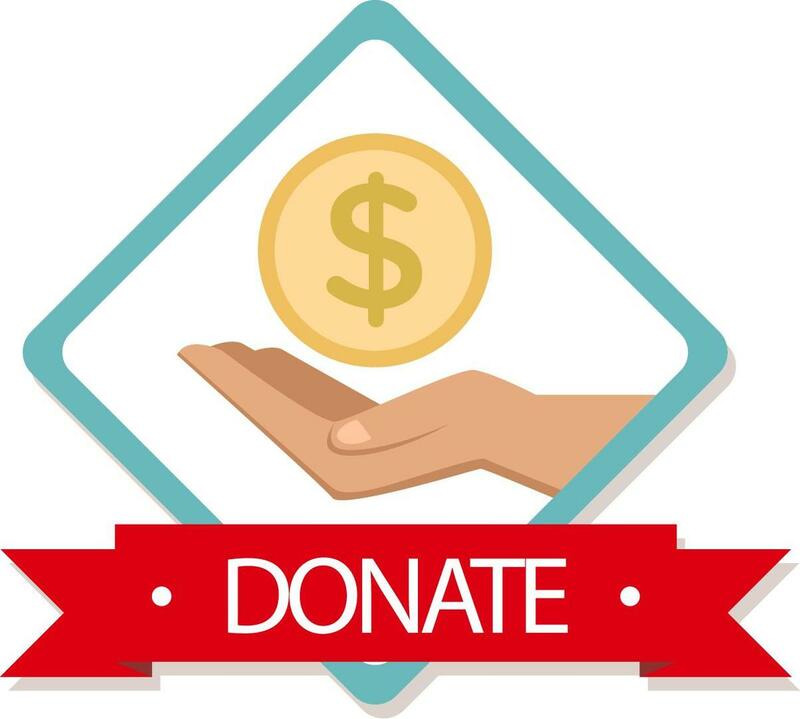 By working in collaboration with all elements of the district, we provide fiscal support, facility & operational support, child nutrition services, and technological resources to all sites and departments.